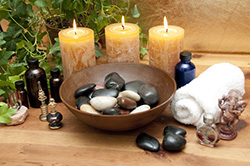 In order to maximize these and other benefits, regular and frequent massage is recommended. bad postural habits are hard to break, especially unconscious ones. Regular treatments help re educate the body to stay in alignment and adopt appropriate patterns of movement and circulation. In addition to quality bodywork, I am committed to offer suggestions, reminders & handouts to support and encourage you on your path to a happy healthy pain free body! 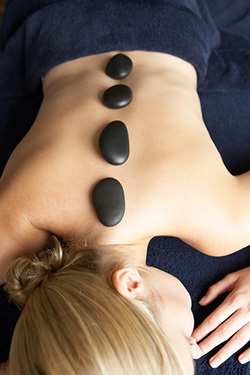 Hot stone massage dates back to ancient Rome, in which the massage therapist uses warm, smooth, flat stones.